The NMAFA Education Department also brings to life the art and cultures of Africa through workshops. These programs feature local and African artists, writers and educators. Spark your creativity and intellectual curiosity during Workshop Wednesdays at the National Museum of African Art! Workshops on the first and third Wednesdays of every month highlight a different artistic process (no workshop will be held July 4). Stay for as little or as long as you like to complete your masterpiece. All skill levels and ages welcome; participants under age 16 must be accompanied by an adult. Most of these events require no registration, and drop-ins are welcome (though please remember that all workshops are first-come, first-served events). However, due to limited space, several workshops do require prior registration. Please refer to the list above for those requiring registration. Throughout the year, special masterclass editions of Workshop Wednesdays will be held. These masterclasses will offer the unique chance to explore select artistic topics more deeply and learn from the same artists whose work you see on our walls and in our incredible collections. Masterclasses are intended for participants 16 and up. Registration is required, and space is limited! Check back for the release of the full calendar of masterclasses. As early Americans sought to define their identity in a new country, race became a major fixation. Tarzan and Jane, Tonto and the Lone Ranger, Uncle Ben and Aunt Jemima—these and other stereotypes about Native American, African, and African American people have long been part of the American scene. Watch as noted scholars, writers, and critics discuss the ongoing presence of such stereotypes and the barriers these stereotypes pose to the advancement of American culture. Gaurav Desai, professor of English Language and Literature, University of Michigan; Adrienne Keene (Cherokee Nation), assistant professor, American Studies and Ethnic Studies, Brown University; Imani Perry, Hughes-Rogers Professor of African American Studies, Princeton University; and Jesse Wente (Ojibwe), leading film critic and programmer for indigenous cinema, presented various perspectives on the topic. Tiya Miles, Mary Henrietta Graham Distinguished University Professor of African American Women’s History, professor of Afroamerican and African Studies, professor of American Culture, professor of History, and professor of Women’s Studies, University of Michigan, served as the evening’s moderator. A reception in the museum’s Potomac Atrium followed the symposium. The symposium was webcast live and can be enjoyed here. Webcast viewers are encouraged to participate via Facebook and Twitter by using the hashtag #Stereotypes. 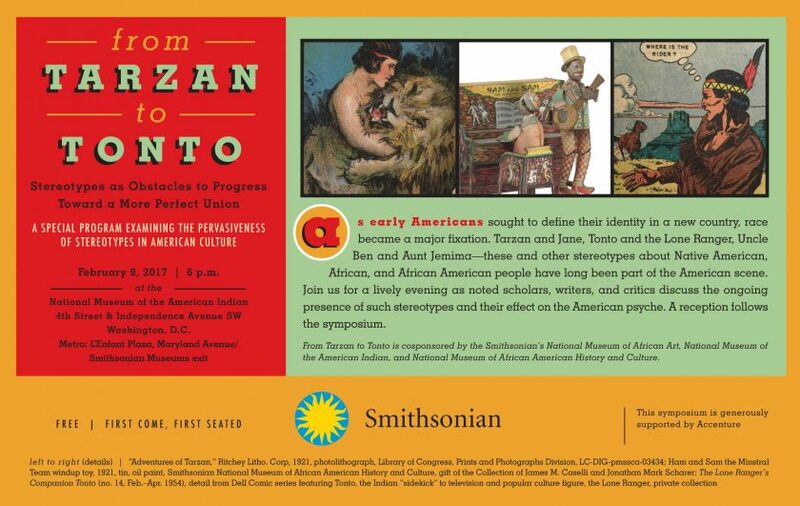 From Tarzan to Tonto, cosponsored by the Smithsonian National Museum of African Art, National Museum of the American Indian, and National Museum of African American History and Culture, was generously supported by Accenture. Africa in Motion presents a variety of traditional and contemporary dance, theatrical, and music performances from Africa and its diasporas. Performances are geared toward recognizing and strengthening the worldwide trends and global exchange of expressive culture. 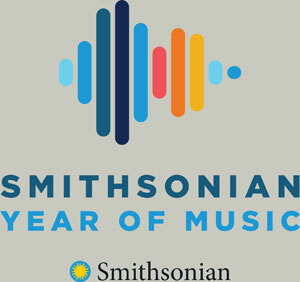 In celebration of the 2009 Presidential Inauguration and Dr. Martin Luther King’s Jr. Birthday The National Museum of African Art presented Kenyan spoken word and hip hop artist Anna Mwalahgo and her band Afro-Floetry, Monday Jan 19th 2009 @ 2:00pm. The day was filled with so many people from around the country who came to commemorate both of these historical events . The Museum is pleased to have captured this special moment in time. Please enjoy! The National Museum of African Art has incorporated visual arts programming into its museum education to create an invigorating and stimulating learning environment in which children, adults and families can discover and appreciate the profound cultural traditions of Africa. Friday, April 18, 2008 was a night of art and fashion coming together through the designs created by students from St. Timothy’s School. Using their own unique styles, students used inexpensive and recyclable materials to fabricate an innovative line of wearable art. Presented by the Art Club of St. Timothy’s School in conjunction with El Anatsui’s GAWU exhibit. On July 11, 2007, in front of a lively audience, Kankouran West African Dance Company delivered an exciting and engaging performance. Despite the day being one of the hottest of the summer, the performers had more than enough energy for high-powered kicks, stomping, shimmies and drumming. Between dances, Artistic Director Assane Konte spoke proudly of the 34 members in his troupe. 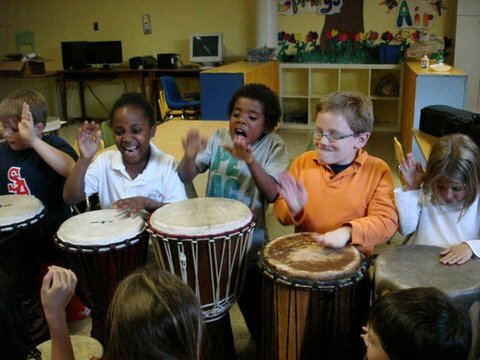 He explained how the drum-based music and the dances tell the history of Africa. He also spoke of the importance of children and community, and he even invited young audience members to come up front and join in the dances. This local dance company, based in Washington, D.C., has been an integral part of the dance community for over 20 years. This video is from a multimedia performance by Ayo Ngozi at National Museum of African Art, Smithsonian Institution, on May 31, 2008. The performance was in conjunction with El Anatsui’s “Gawu” exhibition, featuring Ashley Brockington, Tosha Grantham, Takeyah Young (live human sculpture); Yoko K. (original music and sound design); Basel Action Network (video). This video is called 70 and is from a multimedia performance by Ayo Ngozi at National Museum of African Art, Smithsonian Institution, on November 8, 2008. The performance is a celebration of the life of Fela Anikulapo Kuti, featuring Ayodamola Okunseinde, Hesihima James, Hambone Swamp Guinee, Torkwase Dyson, Ernesto Mercer, Tazima Davis, Holly Bass, Tierra Buggs, Samaa Claiborne, Melani N Douglass, Candace Mickens, Nakima Smith. This video is courtesy of Juju Films Productions. This video is from Award winning composer, playwright and pianist Tony M. Small. He performed original works from his Tales and Traditions series including It Takes a Village, and other original music that shows the rich connection and influence of African culture on America’s indigenous Tales and Traditions. For Black Music Month Howard University Dance Ensemble performed traditional and contemporary dance with a versatile exploration through the dance forms of African, modern contemporary and ballet. As part of Women’s History Month and programming related to the Earth Matters exhibit Holly Bass presented Monument, a celebration honoring the strength and diversity of women in African and diaspora. NMAFA’s dynamic international programming presented Ethiopian Music and Dance Group Fendika as part of its summer line up. On August 8, 2013 NMAFA held its annual Community Day in conjunction with the Earth Matters exhibit, featuring a day filled with dance, music, art, film and food. Artists included Rennie Harris RHAW, The Chelsey Green Project and Cirquetacular. 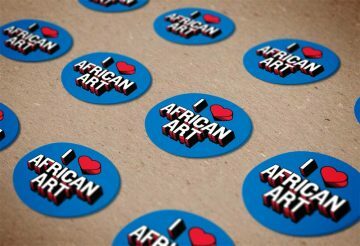 On February 16, 2013 NMAFA presented in conjunction with Black History Month African Roots Global Reach: In Living Color. Featured performers included Maimouna Youssef, Farafina Kan, and Sound of the City. NMAfA’s continued endeavor to explore and present dynamic works from African and its disapora is pleased to host Haitian-American violinist and composer Daniel Bernard Roumain (DBR) and the world premiere of a new solo violin & electronics work inspired by Nigerian artist Ousmane Sow’s powerful sculpture “Toussaint Louverture and the old slave.” Proving that he’s “about as omnivorous as a contemporary artist gets” (New York Times), DBR is perhaps the only composer who has collaborated and performed with Philip Glass, Cassandra Wilson, Bill T. Jones, and Lady Gaga. DBR will be joined by legendary emcee, producer, actor and director and member of the hip-hop group Brand Nubian Lord Jamar in creating a powerful, genre-bending, contemporary performance. In conjunction with Black History Month. The National Museum of African Art presented musician and visual Artist Vernon Reid (of Living Colour and Black Rock Coalition) performing Artificial Afrika in celebration of Black Music Month on Saturday, June 25. A Q&A session led by DJ Adrian Loving took place afterward. Please enjoy the entire show. Holly Bass Performance Projects interprets Yinka Shonibare’s work through their new performance piece African Futures: DC. Dancers Andile Ndlovu from South Africa and Ayano Kimura from Japan, under the artistic guidance of Septime Weber of the Washington Ballet. Also perfrom a short interprestive piece in response to Shonibare’s Odile and Odette. A collaboration with the Sultanate of Oman and the Sultan Qaboos Cultural Center. The troupe hails from Ja’alan Bani Bu Ali an oasis market town in Oman. Traditional Omani music has a long legacy, where the indigenous Arab Islamic culture has combined with external influences from Oman’s trading partners in East Africa and Asia. They are recognized not only for the skill of their musicians and the quality of their singing, but also for the energy and exuberance that they bring to each performance. African cinema addresses a wide spectrum of the human experience. Documentary and feature-length films explore, among other topics, racism, self-determination, women’s issues, politics, history, love, faith, religion. Discussions moderated by directors, film critics and professors accompany screenings. Documentary and feature-length films are presented in association with exhibition themes and specific topics, such as the nationally celebrated “heritage” months. All film programs are free and open to the public on a first-come, first-served basis. Films are recommended for mature audiences; all screenings are followed by a moderated discussion. Seating is limited. For the most up-to-date information, consult the calendar. Curators meet with individuals to identify and discuss the aesthetic and contextual aspects of specific works of art. Limit two objects per visit; preference is extended to first-time participants. Please register well in advance of the date you wish to attend as these clinics are limited in terms of participants and they tend to fill up quickly. Conservators advise the public on the proper care of their collections. Limit two objects per visit; preference is extended to first-time participants. Please register well in advance of the date you wish to attend as these clinics are limited in terms of participants and they tend to fill up quickly.